Capriate san Gervasio, June 2016 – Leolandia, Italy’s second most beloved park in TripAdvisor ranking and very close to Milan, is enjoying this year a season of celebrations for its 45th birthday. The park, inaugurated on March 19th with many news, is getting ready for an outstanding summer from all points of view: in addition to 40 attractions for children and grown-ups, with rides, cartoons characters, shows and animations that are going to enliven Leolandia Magic Nights, summer also offers a yummy news by Grom. From June 2nd it is actually possible to taste in the park Grom’s “as-it-once-was” ice cream. 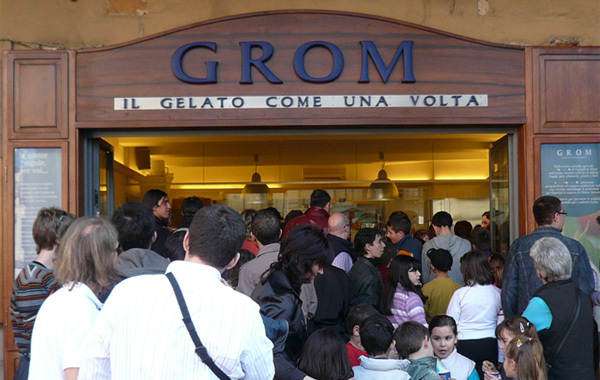 Grom is the ice-cream shop born in Turin in 2003 and it became famous all over the world because of the ice cream quality: creams made by fresh milk and barn eggs, 50%-fruited sorbets, spring water, and white cane sugar, no colouring, emulsifier or flavouring. A supplying collaboration is taking to Leolandia a special Ape Car to serve 6 flavours of Grom’s ice cream - creams and fruits, served in bowls available in three sizes - selected by the park among the month’s flavours the ice-cream shop proposes, according to the season and the raw materials genuineness. Our partnership with Grom joins the park’s variegated restorative offer, which has been figured out in order to satisfy our guests’ taste, mainly families with children up to 10 years. We offer them a “fast food” experience with both products and service with high quality standards, including pasta and organic sauces, fresh fruit popsicles, vegan products, salads and desserts made at the moment. Summer is coming and Leolandia is waiting for everybody to join a stunning party with many surprises together with Masha and the Bear, Thomas and Friends, Peppa Pig and her little brother George. Further, many attractions for the whole family included in the ticket. At leolandia.it tickets start from 15,50 € and the sooner you buy, the less you pay.